Dueville is a commune in the Province of Vicenza, 12 kilometres north of the town of Vicenza. Leave the piazza in the centre of Dueville and head north towards Montecchio. At the traffic lights turn left onto Via Fosca. The cemetery is 100 metres on the left opposite the communal cemetery. 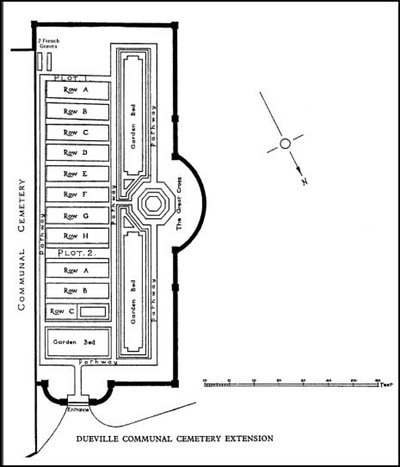 Cemetery address: Via S. Fosca s.n - 36031 Dueville (VI) Veneto. GPS Co-ordinates: Latitude: 45.63984, Longitude: 11.54823. 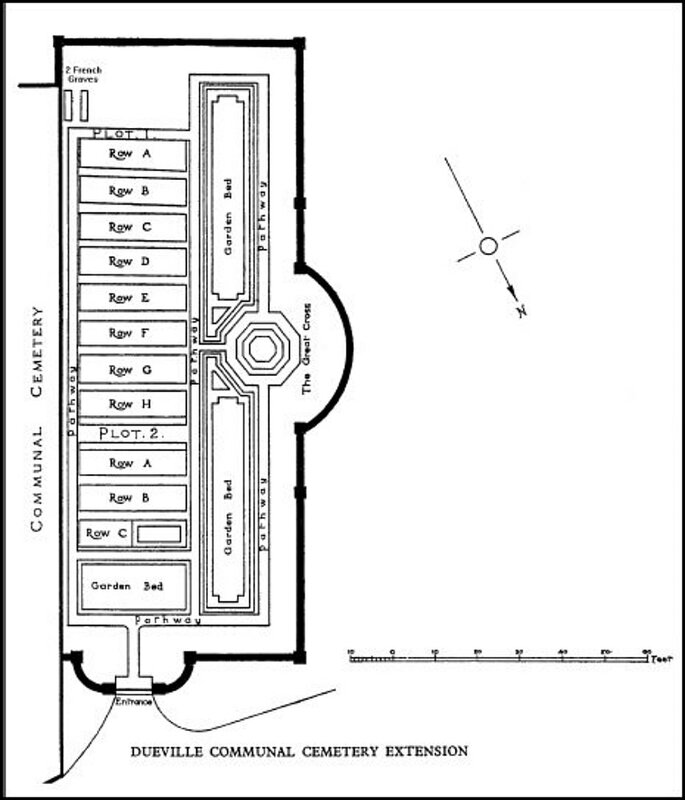 The Dueville Communal Cemetery Extension is a CWGC cemetery. The site is permanently open and may be visited at any time. 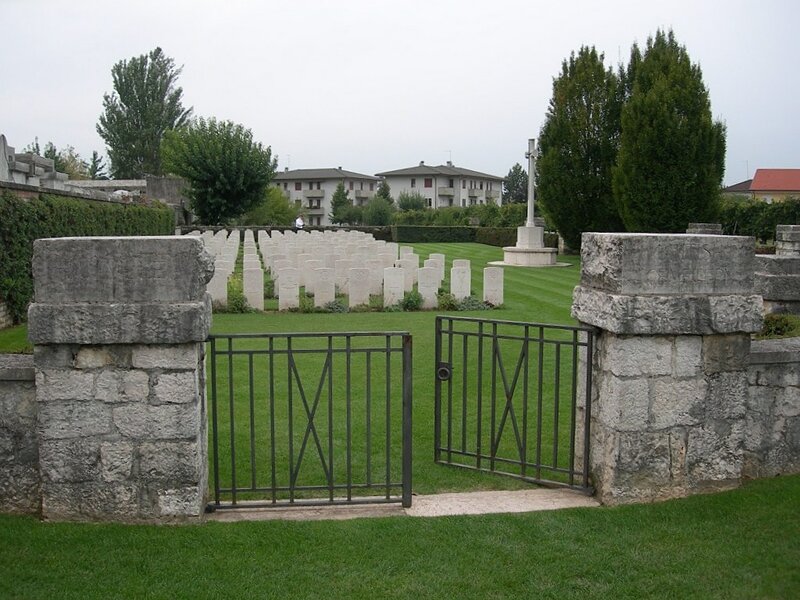 From April 1918 to the early months of 1919, the 9th, 24th and 39th Casualty Clearing Stations occupied the village school at Dueville and used the extension to the communal cemetery for the burial of those who died of wounds or disease. The Allied front on the Asiago Plateau was about 22 kilometres distant; the Piave front, to which the XIVth Corps was moved for the final attack on the Austrian positions in October 1918, was about 64 kilometres from the village. The cemetery now contains 134 Commonwealth burials of the First World War, some of which were brought into the cemetery from other burial grounds after the Armistice and in the following years. 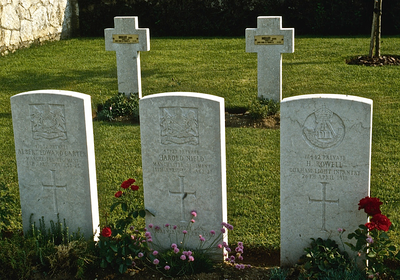 The extension also contians two French war graves.